You can wear a lariat necklace a few different ways. You can simply tie the two ends together. Or wrap it around your neck (or ankle or wrist) a few times and then tie it. 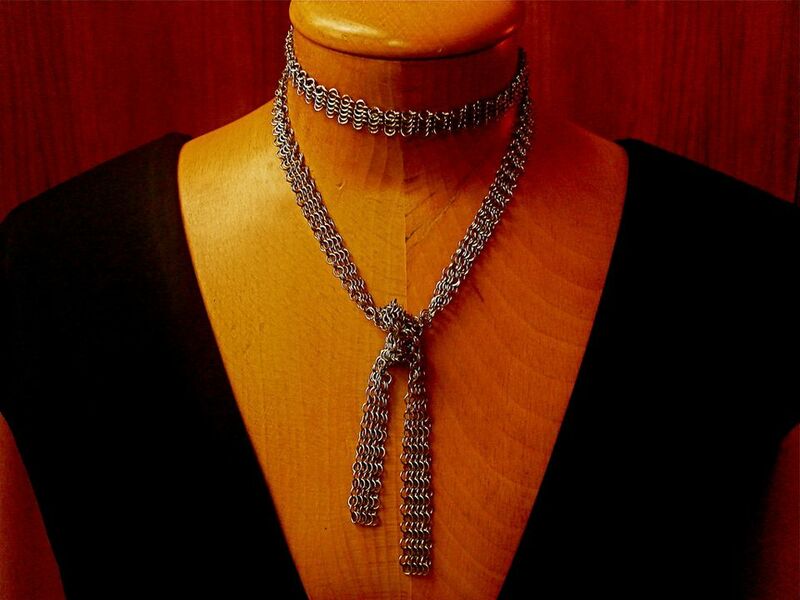 Some lariat necklaces come with a sliding clasp so they can be worn similar to a bolo tie. You can also loop a lariat necklace like a scarf: fold the length of the chain in half, then drape it around your neck so the loose ends and the loop hang to the front of your shoulders. Pull the loose ends through the loop and adjust it until it reaches a position you like. Length tends to be important with this style of necklace. Anything shorter than 24 inches can be problematic because you need the extra length to tie and wrap the necklace. Most lariat necklaces will be at least 30 inches long.